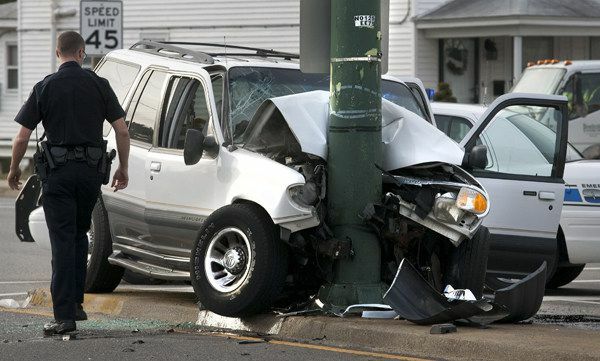 Our Michigan car accident lawyers frequently represent clients injured in single car accidents. These one car accidents are often the fault of the vehicle driver, but can also result from a defective condition of the road or another motorist forcing the car off the roadway. The injuries from these accidents are often serious and many are fatal car accidents. If you were the driver of an auto involved in a single car accident, you are still entitled to receive Michigan No-Fault Insurance benefits. These benefits include payment of medical expenses, lost wages, household services, and attendant care services. You can file your claim against your own insurance company or the company insuring the vehicle itself if you were not the owner. Passengers of single car accidents are always entitled to No-Fault Insurance Benefits. You can receive these benefits even if you did not have your own car insurance policy and if the car involved in the crash did not have insurance. Call us and we will explain to you how to get your benefits paid. Passengers on Michigan one car accidents can also make a claim against the driver and owner of the automobile for pain and suffering damages. These cases often result in substantial settlements. Our own book, written by Michigan auto accident lawyer Lawrence J.. Buckfire, "The Ultimate Michigan Car Accident Handbook," will answer all of your questions, in plain English, about your legal rights against negligent drivers as well as your available benefits under the Michigan No-Fault Law. We'll send it to you for FREE! We will represent you in your single car accident in Michigan case under our NO FEE PROMISE. This means that you will not be charged any legal fees whatsoever unless we obtain a settlement or recovery for you. You have absolutely no obligation for legal fees unless we win your case. If we do not obtain a settlement for you, you owe us nothing! For more information about your rights after a Michigan one car accident, call us at (800) 606-1717 to speak with an experienced car accident attorney or fill out the Get Help Now box on this page and an attorney will call you shortly.